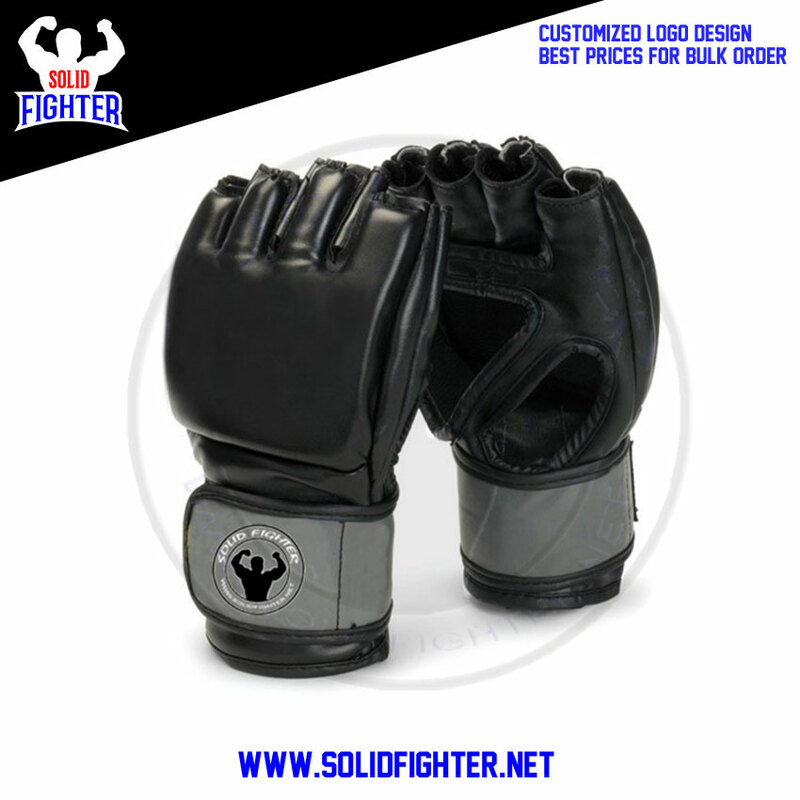 Solid Fighter presents premium leather/artificial leather along with superior glove construction increases durability and functionality. 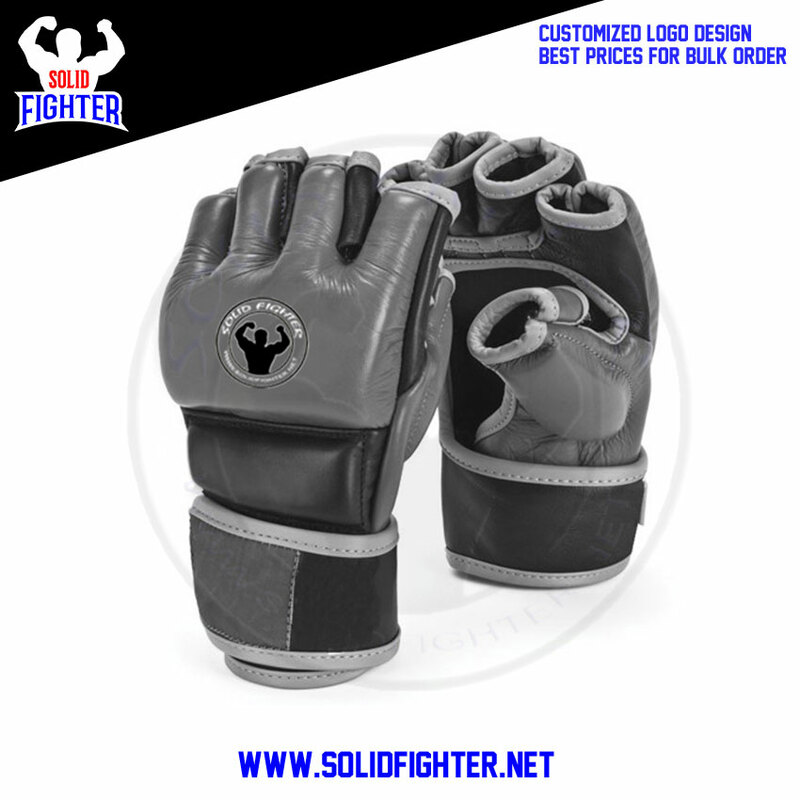 Full wrist wrap strap enhances wrist support and allows for a more customizable fit. 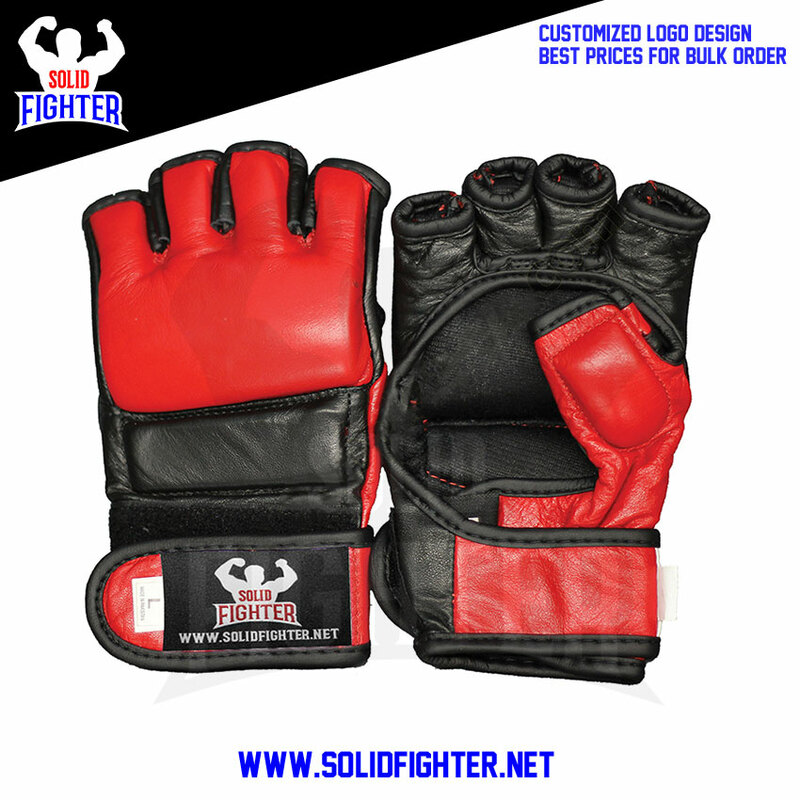 Customized color scheme and logo printing.